The book from 2016 that I can't stop talking about. I can offer no higher compliment than saying that if Manuel Gonzales wrote Buffy the Vampire Slayer fan fiction, I would read all of it. This book borrows from a number of pop cultural sources, Buffy included, and turns that material into high art. Gonzales writes movie-style action that reads like ballet. He writes robotic arms that rival in beauty the best memoirist's recollection of Paris at night. 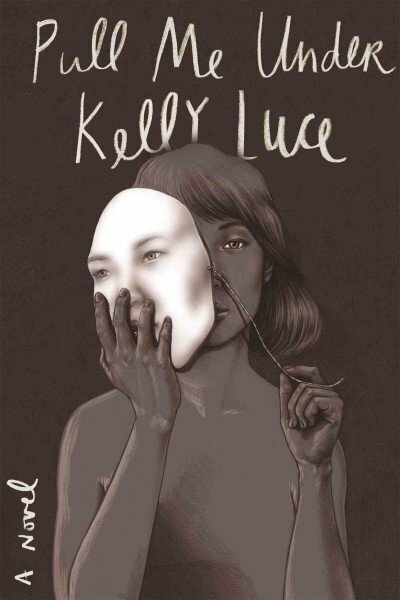 He writes superpowered women who, even while locked in life-or-death battle, struggle even more with their pasts, their humanity, and the prospect of their futures. 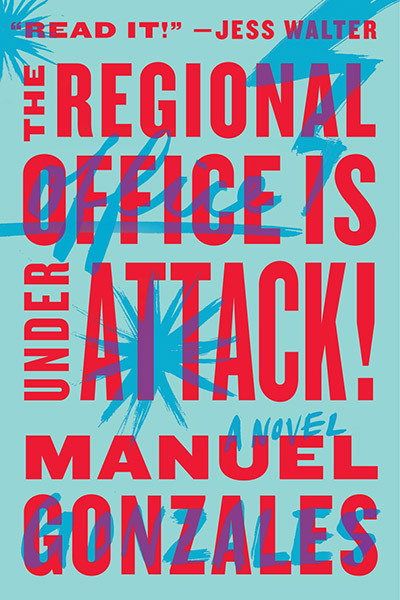 For all the cleverness of the novel's conceit, for all the fun Gonzales obviously has in crafting his scenes, the Regional Office is a stage he uses to explore our fundamental humanness in a way that wouldn't have been possible without magic and a sense of adventure. This book belongs with the best of fantastical literature. A striking first novel about identity and belonging set in Japan. Time travel. Rock shows. Time traveling to rock shows. Two They Might Be Giants references in the first 50 pages. Love. Things like love that probably aren't. Things like love that might just be love. Every Anxious Wave seems to form out of author Mo Daviau's pet passions, including science fiction and the music of the 80s and 90s, all tied together with a literary bow. It's Dr. Who meets Murakami meets Aimee Bender, with a firmly feminist message hidden beneath our male narrator's sometimes cluelessness. In a novel that upends preconceptions from the very first word, perhaps Daviau's greatest feat is that she managed to surprise me with her take on that oldest of topics, love. 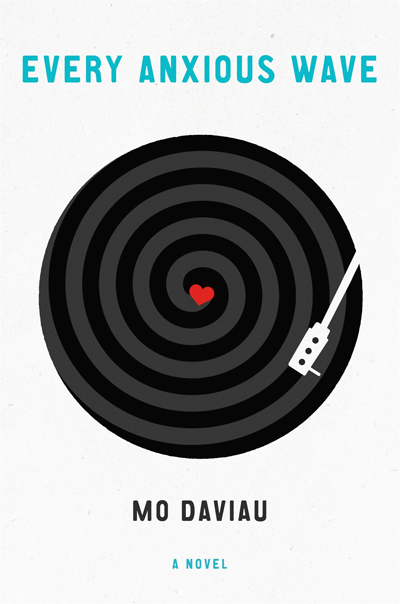 So often love is presented as the universe's most powerful force, de facto, but here love makes allowances, and the novel's initial love, damaged and beautiful in its own way, is not celebrated as the ultimate triumph. Instead, it's a cleaner, fixed version of this love, still imperfect but less traumatized, that wins in the end. Love here and now, or in the post-apocalyptic future (oh yeah, did I not mention that part yet? ), isn't the absolute. The absolute form of love is actually the flawed form, the one that fosters pining and allows abuse. Instead, a tempered love, one that knows the possibility of improvement, that doesn't tolerate the tragedies inflicted in its name, is the real human goal, a goal that we maybe have to go a couple decades into the future to find. Four girls named Guinevere abandoned by their parents to The Sisters of the Supreme Adoration. Four comatose soldiers returned from the War and cared for by the Sisters. 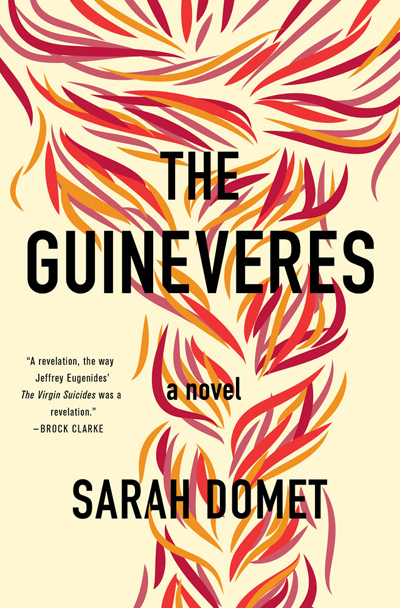 These two conceits drive the plot of The Guineveres, as the titular girls discover—and lose—themselves within the cloistered life of the orphanage. Narrated by the Guinevere who goes by Vere, but usually in the plural "we," each girl's story starts with loss and seems to be compounded at every turn by further losses. But the core message is one of faith. Not necessarily religious faith. For the Guineveres, faith is the expectation of a better future, one that isn't constrained by the Sisters' rules or boxed in by the orphanage walls. It is faith sprung from hope, and in the end I don't know if that's a good thing or a bad one. No rapturous moment awaits them, no divine passion. Patience is they key virtue, at least for Vere, and its opposite might be the flaw that undoes the close-braided group of Guineveres. Tragic and touching and most importantly a story that rings true. 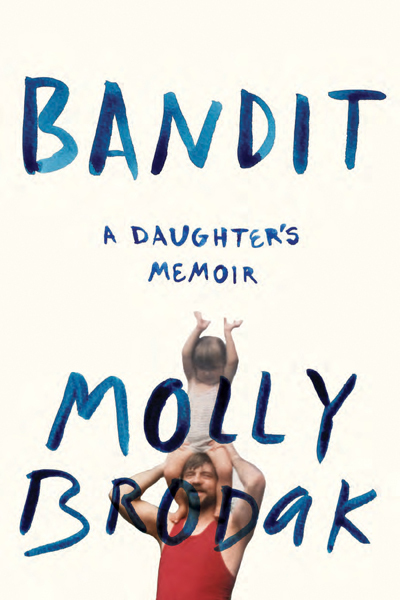 Molly Brodak’s exceptional new memoir, Bandit, is framed by the story of her father, whose many mistakes culminate with an infamous bank robbing spree in Michigan. While her father’s story could easily take up a book of its own, the real reason Bandit succeeds is because Brodak keeps the story close to herself. It’s a memoir, after all. Still, her father takes up his fair share of the text. He’s an outsized figure in almost every way. I would argue, however, that the memoir is Brodak’s attempt to make the man life-sized. It’s this quest for understanding, the attempt to make sense of what was a senseless past, that makes the memoir unique. She has researched not just her childhood and her father and her family, but also the psychology behind gambling addiction and the history of the now-derelict Detroit neighborhood where her father first lived when he came to America as a small child. She confesses her own phase of shoplifting. She visits her father, and writes him, and maintains some small connection to him even while all the rest of their family has necessarily cut him off. This memoir is a search, and the reward for the reader comes from being invited to take part in it. Brodak won’t offer you any solid answers, except to illustrate that when it comes to her father’s life—and his is an extreme example of life in general—no answer will ever be satisfactory. And that, in the end, is OK.